In the Virtual Gallery this month, we have two artists that have a special interest in birds. Frances Wood will be showing her watercolors of her avian muses at The Rob Schouten Gallery this month, “Taking Flight.” Frances’ birds have a spark in their eyes that comes from long observation of her feathered friends. 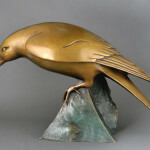 Georgia Gerber, a sculptor with an international reputation, also has long been interested in birds, as well as many other animals. Georgia doesn’t stop with the descriptive, she takes the forms, lines, and masses and bends them to her considerable will, ending up with something that is both bird and more than bird. 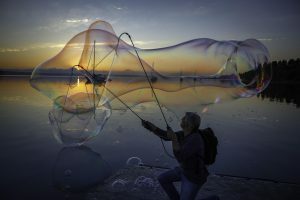 Her work ranges from the highly realistic to bordering on abstract, but always with an eye to the animals from which she receives inspiration. See the WLM Virtual Gallery show here. I hope this month’s Virtual Gallery will inspire you to visit both the Rob Schouten Gallery to see the work of Frances Wood, and Brackenwood Gallery where you can find Georgia Gerber’s work.